Sell tickets and collect donations at your fundraising events. Create multiple ticket types and customize each with a name, description and price. Your guests will automatically receive an emailed receipt for their purchase. Customize the look to match your brand or event’s unique design. Forget about check gathering and manual record keeping at events. Easily convert supporters into donors with a Text to Give ask. Tailor the message and URL for each event. Create and customize tiered ticket offerings. Guests receive an automatic email receipt for their purchase. 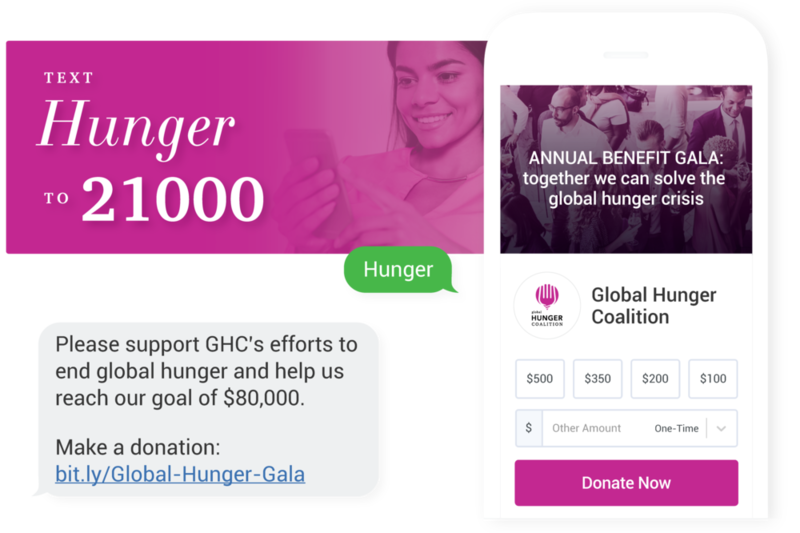 Send donors a text message and custom donation link.